As the uncertainty around Brexit heightens, don’t allow it to impact on the enjoyment and comfort that you get from your home. It’s a better time than any to upgrade your South East home before Brexit – here’s why. In the event of a hard Brexit or no-deal Brexit, construction bosses warn that the cost of building materials could soar and even have restrictions imposed upon them. South East homeowners can side-step this potential headache by simply getting a free quote from us now for uPVC, timber or aluminium windows, doors, modern glazed extensions and more and the quote will be locked-in for 3 months. So, there’s no need to hesitate about getting a quote from us as we will honour our quotes no matter the outcome. Don’t miss out on our massive Spring Sale for home improvements in the South East! Up to 40% off windows, doors and conservatories which can be combined with our 3 years interest-free credit finance option; two offers running in tandem like this is incredibly rare! So, choose our Spring Sale offer now and we’ll install when it suits you. Or simply get in touch to discuss your options further. Don’t worry; with SEHBAC, you won’t be expected to make payments immediately, and with our 3-year deal you can be safe in the knowledge that your direct debit payments will stay the same to help with budgeting! 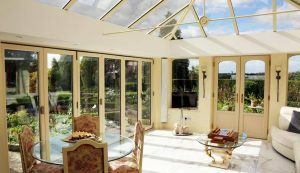 We know price is an important factor for any homeowner, so be wary of the many glazing ‘deals’ out there and always read the small print – as it’s not certain you will get this offer. Do your homework and look out for quality finance packages partnered with reputable lenders. Our Brexit friendly finance options include 3 Years Interest-Free Credit and Buy Now Pay Later – £99 Deposit, available on all product lines. With a payment plan that suits your particular lifestyle, there’s no need to worry about unpredictable times ahead with SEHBAC by your side. British house prices grew at their slowest rate in 6 years in 2018, with house sales and values wobbling as the Brexit deadline looms on the horizon. 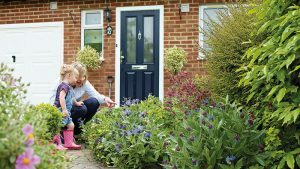 South East homeowners should see this as a golden opportunity to sit tight and add value now, whilst the best home improvement offers are still up for grabs. Plus, when UK property prices pick up again you will have a stylish and attractive edge over the other homes on the market that didn’t take the initiative when they had the chance. 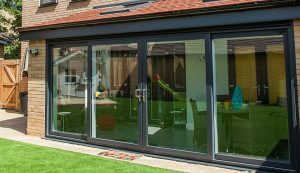 By boosting your kerb appeal with high-quality windows, doors, conservatories and more, you are actively supporting British manufacturers, fabricators and installers too. Keep British craftsmanship alive with an SEHBAC installation – we didn’t win Installer of the Year and the NHIC Consumer Confidence awards for nothing! In such volatile times, now is the time to be proactive and not allow the negatives of Brexit to control or cloud your judgement. SEHBAC installations guarantee high-quality bespoke home improvements, alongside a profound sense of satisfaction. So, get a quote and strengthen your future financial position today. Or simply get in touch with one of the friendly and knowledgeable SEHBAC team, who will be happy to answer any further queries you may have. Get inspired by our 2019 house goals Pinterest board! How big can a building be without planning permission? The addition of a new building on your land may seem like a good idea initially but when you delve deeper into the regulations, the red tape surrounding planning permissions can become rather complex. So, you’ve had enough of looking at your tired window frames and have decided to look into high quality window replacements.